hun what do you mean ‘envelope’ of instant yeast?? I use Edmonds Instant Dry Yeast. There are 12 sachets of 8g in each box. I’ll change the wording in the recipe text to make it clearer. Looks amazing. 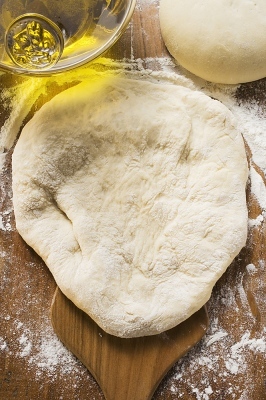 I love pizza, however I must admit I make a cheat dough that’s really quick… just water, oil, flour and salt. It’s not as light and as airy as this obviously but it does the job. I have been wanting to make a dough proper for a while so maybe I’ll give this one a go! Yes, this one is very light and soft due to the yeast in it. You can also add flavour by adding some fresh or dried herbs such as Oregano to the mixture. Let me know how it goes. We used this recipe and loved it! It’s a new fave!